Thor has a hammer and he knows how to use it! The latest big-screen Marvel adaptation hit cinemas across the land this week and I had to see. 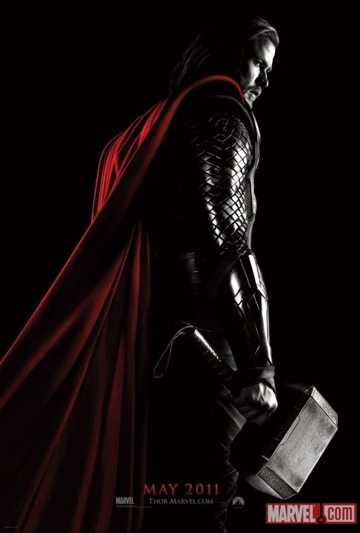 Ever since spotting “Mjolnir” in the desert in Iron Man 2, Thor was definitely on my must-see list. Then came the memory of the rumour that WWE’s Triple H was originally slated to play the hero…things could have been sketchy…but up stepped Chris Hemsworth, a relatively unknown Australian actor, and all was good again. Chuck in Kenneth Branagh in the directorial role and the always-perfect Anthony Hopkins as the pivotal Odin and everything was almost ready…then 3D pushed this movie into the stratosphere. The 3D effects are the second best I have ever seen, beaten only by last year’s Resident Evil film, and the effects really do ramp Thor up to heady heights. The downfall of the film however is a rather weak storyline. It’s the age-old story of two brothers, one father, a throne and a banishment. It’s been done tonnes of times and sometimes can feel a little “seen it all before” but at the same time it works really great. Expect massive effects, rippling muscles and a few comic-book in-jokes and you won’t go far wrong.